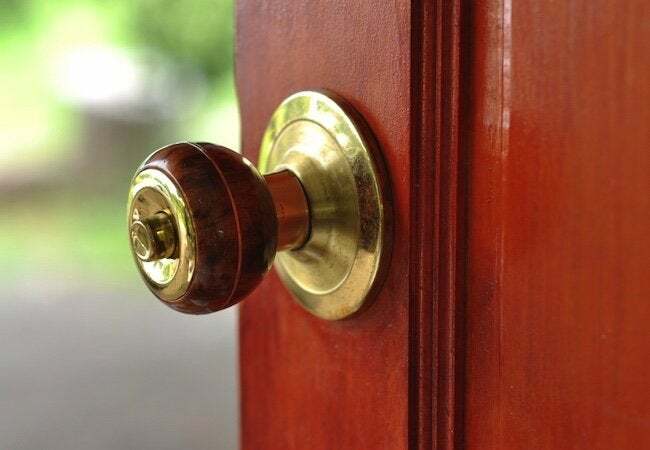 If slamming doors are a nuisance for you (or your neighbors), restore quiet with either of these easy, low-cost, do-it-yourself solutions. Is a slamming door driving you nuts? Have you had noise complaints from neighbors? Here are a few simple and inexpensive ways to shush those slamming doors. Stick-on felt pads are a low-tech option. Available in a variety of sizes, they can be cut with scissors to fit. Once you’ve removed any dirt on the inside of the door frame, stick the pads to the part of the frame where the door makes contact. You can do the same thing with weatherstripping—and when you use it on exterior doors, it’ll help keep out drafts too! Or how about installing a time-tested pneumatic door closer? These work especially well on screen or storm doors, with their bracket-and-piston design ensuring a slow, quiet close each time. Plus, pneumatics enable you to manually adjust the closing speed of the door, usually by simply twisting the piston part of the closer. There are other options, in addition, which can help you stop a door from slamming. Check them out at your local home center!